Today is Memorial Day and the official beginning of summer. Summer is a time for family outings, traveling, cookouts and beaches by day. At night, its parties with girlfriends and special dates with your special someone. While Tamarah is on my blog giving her best list I thought to give you guys my best list for day and night Memorial Day looks. For day remember three things. 2. Don’t be scared to rock shorts. 3. Rompers/jumpers are your best friend. 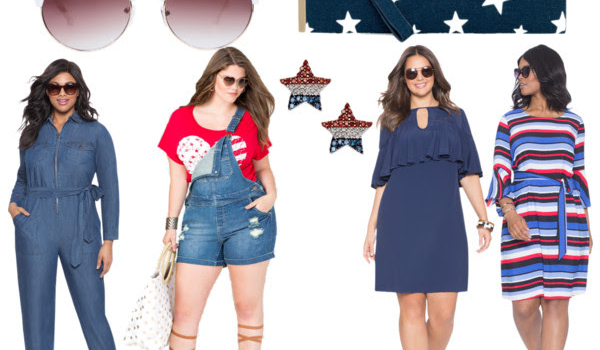 If you’re asked to rock red white and blue to your day event don’t be scared to add some stars and stripes. My rule is…there are no rules. For night looks, I love dresses, especially if the temperature is high. Trendy dresses are all about ruffle, flow, , matching top and bottom patterns. My fave shop for casual nightlife outfits is Eloquii. They give you high fashion looks, but at affordable prices. 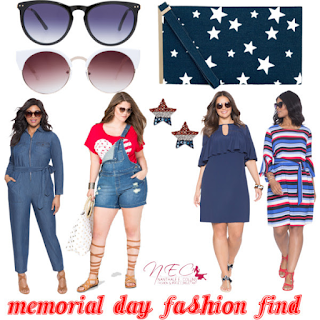 Also, rock your shades and add a striped or starred clutch. The key to any look is to not be concerned with what people say. No matter your size what matters is your confidence. If you feel good you look good. If you look good you feel great. I had so much fun putting this together and thanks to Tamarah for letting me speak to you all. 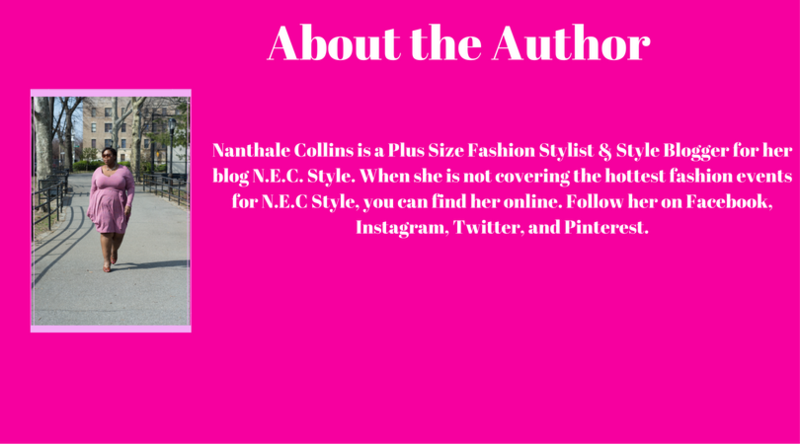 Special thanks again to Nanthale Collins for partnering with us for our first Blog Swap. You can find our blog post over on N.E.C. Style. Nanthale Collins is a Plus Size Fashion Stylist & Style Blogger for her blog N.E.C. Style. When she is not covering the hottest fashion events for N.E.C Style, you can find her online. Follow her on Facebook, Instagram, Twitter, and Pinterest. Follow us on Facebook, Instagram, and Twitter to see what we have in store. Let us know what topic you would like to see next.